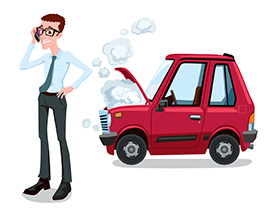 As Citadel Federal Credit Unions approved provider of Vehicle Service Agreements/Mechanical Breakdown Insurance, IWS can offer you peace of mind with their choice of protection plans. That means no matter which plan you choose, from their most affordable to their most comprehensive, whether for a new or eligible pre-owned vehicle, you’ll get the additional security of knowing you have chosen one of the finest protection plans available. You work hard to protect your investments, don’t you think you deserve peace of mind?